Where I’m At; a monthly update of what I’ve been up to and site news. 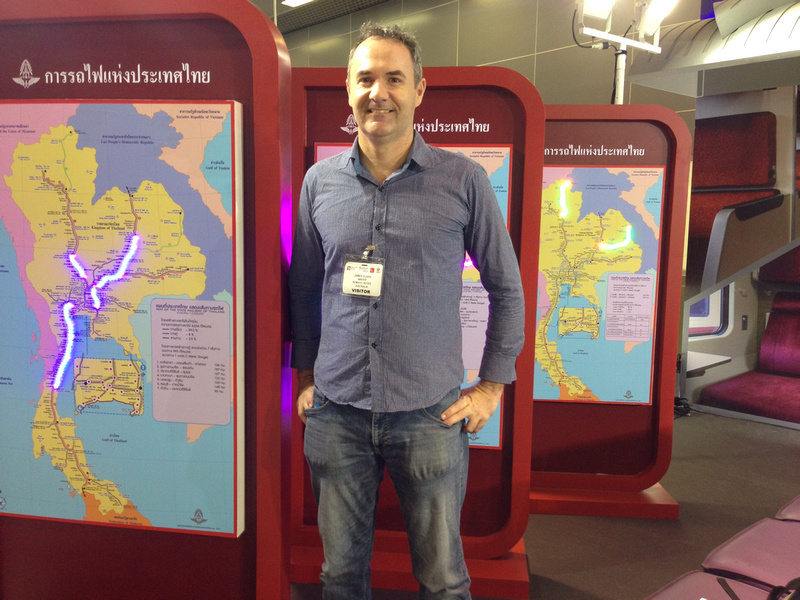 I began December in Bangkok, which was my third visit for the year. I wasn’t planning to visit again until I saw that there was an Asia railway conference on around the time I needed to do a visa run from Vietnam. The conference was more for business rather than public, but I figured it would be good to go to make contacts related to my future Southeast Asia map. This month took on a train theme as my next destination was to Nong Khai in northeast Thailand, by train. From Nong Khai there is a shuttle train that crosses the Mekong River to Laos, which is what I wanted to see, and I’ve published a post on how to get from Bangkok to Vientiane by train. Instead of going to Vientiane in one trip I stopped in Nong Khai for a day. 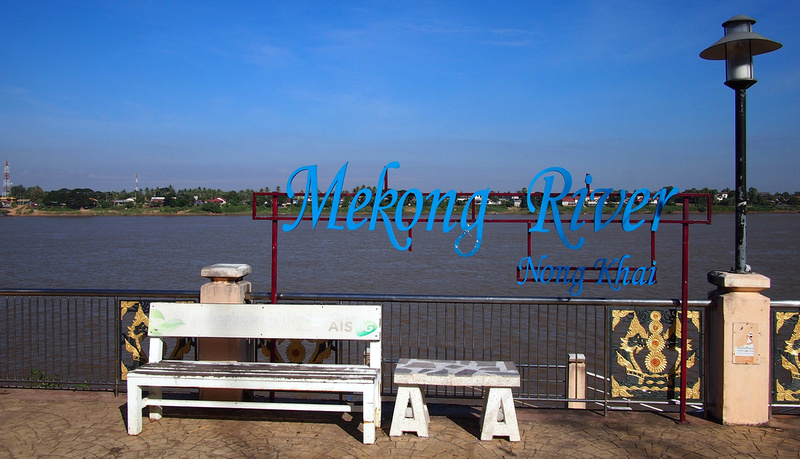 Nong Khai is on the Mekong River, which forms the border between Thailand and Laos. There is not much going on in Nong Khai, which was part of its appeal for me. I like to go to these unremarkable cities to even out the times when I go to overly-touristed places. When I was booking a guesthouse in Nong Khai I was looking for something near the river, so I booked into Mut Mee Guesthouse. 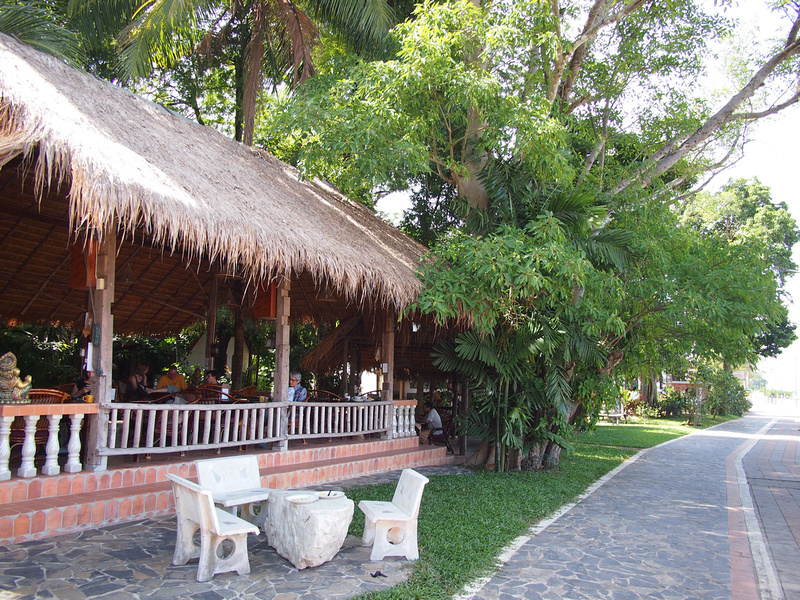 This turned out to be a great choice as it has a cafe/restaurant in a nice garden setting by the river. 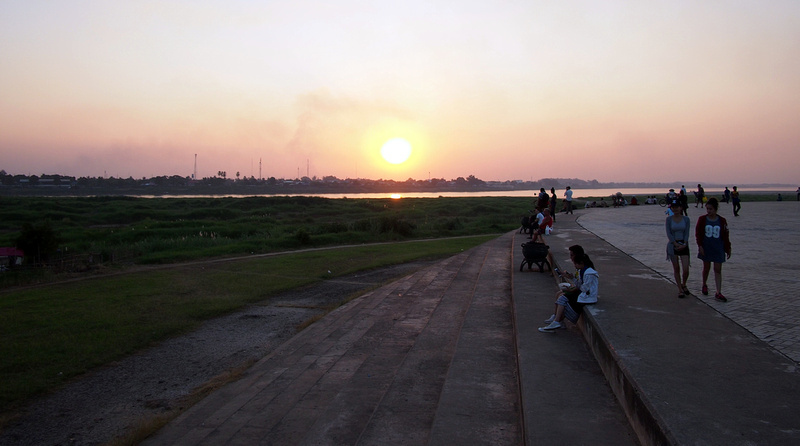 It had been about seven years since I was last in Vientiane so I was curious to see what has changed. For a start there was no train to anywhere in Laos when I was last here. Part of the reason for my visit was to see Vientiane before the age of the China-Laos railway, which began construction in December. The line will pass though Vientiane and connect to Thai Railways in Nong Khai. The railway is expected to take five years to complete, and Laos will become a crossroads for travel between China and mainland Southeast Asia. For now Vientiane still retains its title as the sleepy capital, even though there are far more cars now and traffic jams at peak hours. Vientiane sits on a bend in the Mekong River and in the evening the riverfront comes alive with a market and strollers who come out of hiding from the days heat. For flights out of Vientiane there still aren’t many options. AirAsia fly here from Bangkok and KL but there are no other low cost airlines from Southeast Asia. 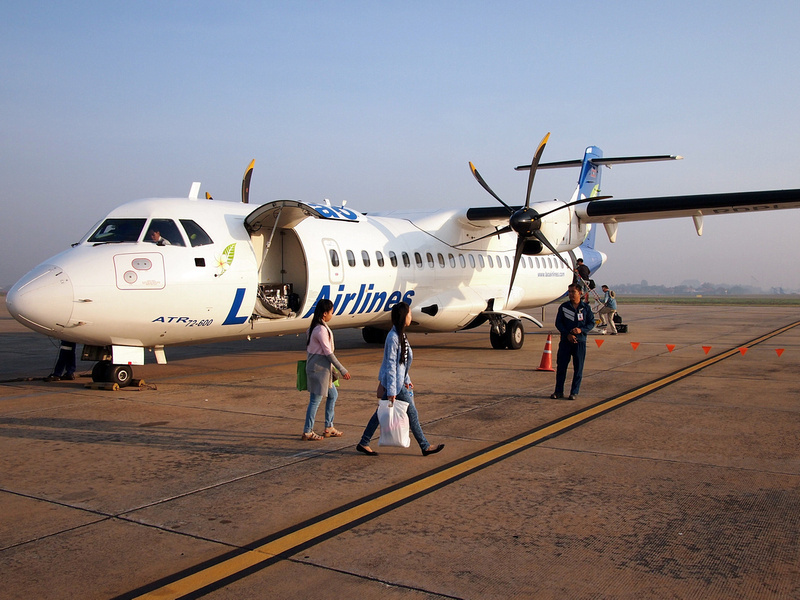 There are no non-stop flights to Saigon, though Lao Airlines offer a direct service with a stop in Pakse. 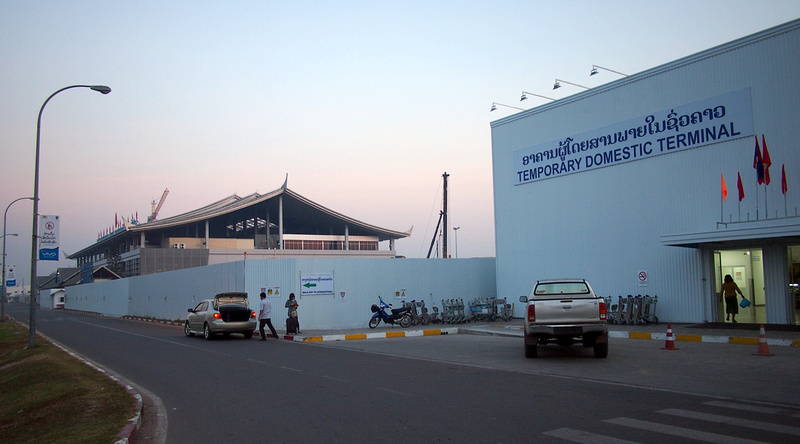 Vientiane airport is so close to the old town area that it only took six minutes by tuk-tuk to get there. When I’m visiting a country that I may not return to (or at least not for a long time) I try and work out how much cash I need for the duration. Standing at the ATM in my first hours back in Vientiane I tried calculate in my mind how much to take out, knowing that 8000 Laos Kip equals around one US Dollar. 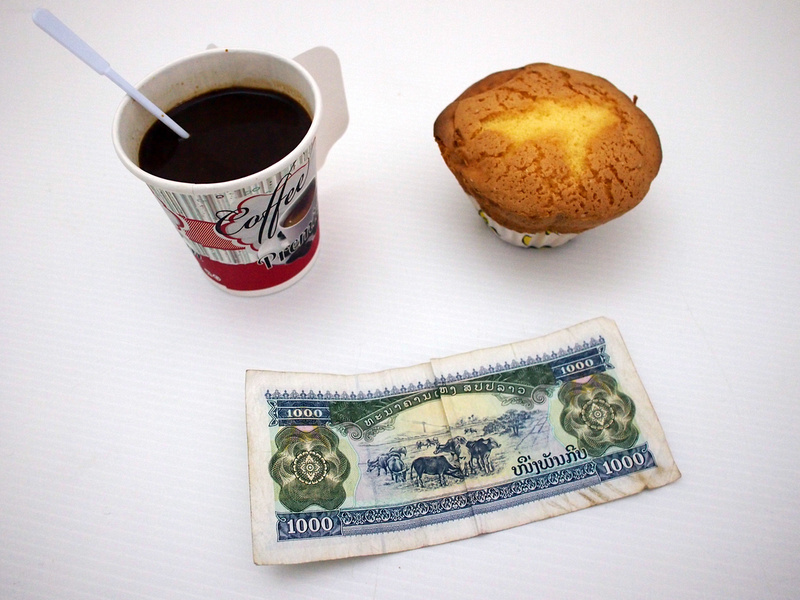 After overpaying the tuk-tuk to the airport by a whole dollar I was left with enough for a coffee and muffin, with the equivalent of about 10 cents left to spare. I flew with Lao Airlines back to Saigon, who fly ATR turboprops. Here is my Lao Airlines flight review. December is an extra festive time in Saigon. Christmas decorations are up in full force and “All I want for Christmas is you” and “Last Christmas” is played everywhere on heavy rotation. Around half way through the month decorations start going up for Tet, the lunar new year in Vietnam. Sometimes it’s hard to tell the difference between the Christmas and the Tet decorations, or they merge together to become a Tetmas hybrid. While many people celebrate Christmas here in a traditional christian sense, for many people it has become a “selfies with Santa” festival. Christmas day isn’t a public holiday here, so it is quite odd to be walking around on a Sunday afternoon and going to a mall on Christmas day. I finished the year in Nha Trang, which is a city by the beach in south central Vietnam. I went to escape the end of year madness in Saigon. As someone who doesn’t drink I’m not a fan of the craziness that NYE brings out. It is known as amateur night to my non-drinking friends, where people who don’t usually drink during the year go crazy on this night. Of course there is parties happening in Nha Trang, but not on the same scale as in Saigon. 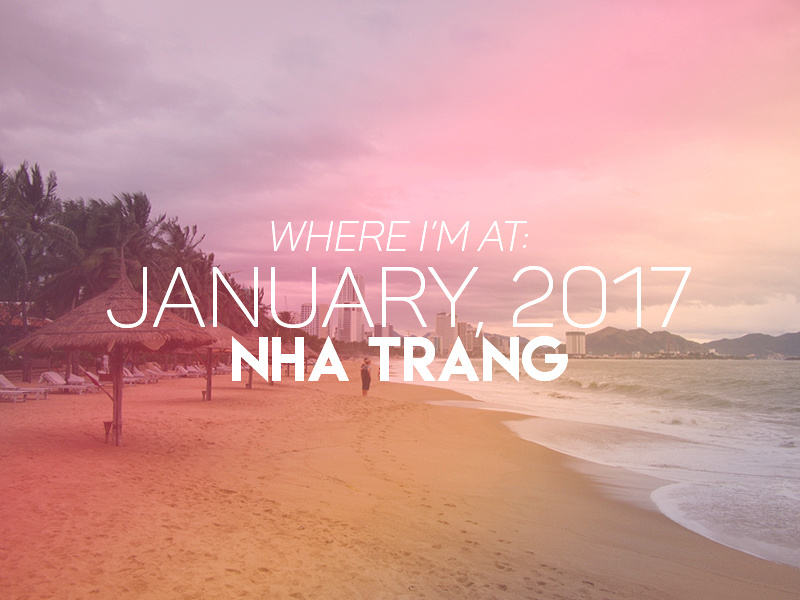 I used the time in Nha Trang to review the year that was and to make plans for the year ahead. I’ve been to Nha Trang three times now, and it has changed a lot since my first visit in 2005. Nha Trang is popular with Russian tourists, so my mission was to avoid the hotel area and find local places to eat. I will have an updated guide for Nha Trang soon. This is one of those classic travel books that I had somehow still not read. Heinrich Harrer was an Austrian mountaineer who escaped from a British internment camp in India in 1943. He and a fellow Austrian trekked across the Himalayas where they managed to make it to Lhasa, which was a forbidden city to foreigners back then. He became friends with the young 14th Dalai Lama and stayed until the Chinese Communist takeover. Even though the Tibet depicted in this book no longer exists, I was looking up flights to Tibet after I finished. For more travel reads visit the top travel books list. How to get from Bangkok to Vientiane by train – A comfortable alternative to flying or getting the bus. Cafes in Vientiane – I visited the best cafes in Vientiane while I was there, and I’ve also updated my Vientiane Travel Guide after my recent visit. The rise of the digital nomad – I was featured in Gulf News, the biggest online site in English in the Middle East. Love the post. Great photos as well. Hoping to get there at some point. 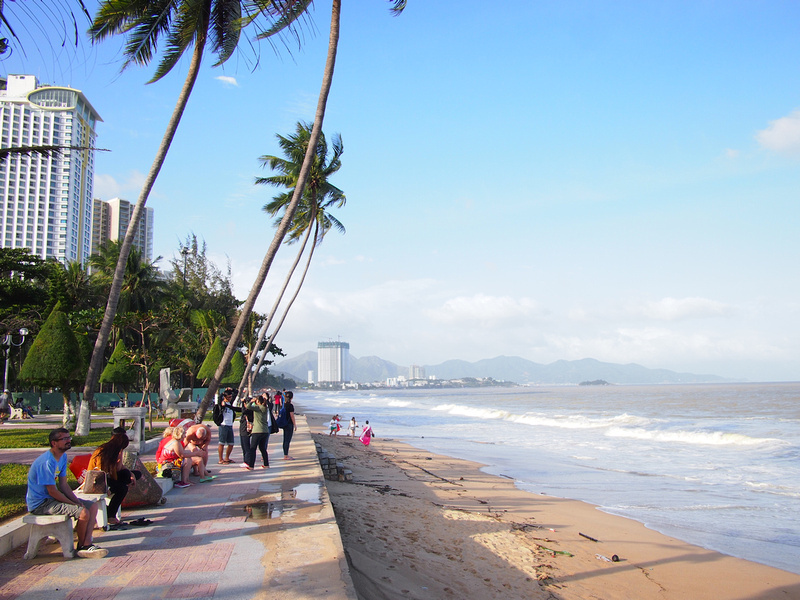 Your Nha Trang adventure reminds me of my visit in Thailand not so long ago. Just like you, I’ve enjoyed wandering around the place too and I’m planning to visit there again. looking forward to your next adventure. Thanks. Are there any co working spaces here…what do you know about it?